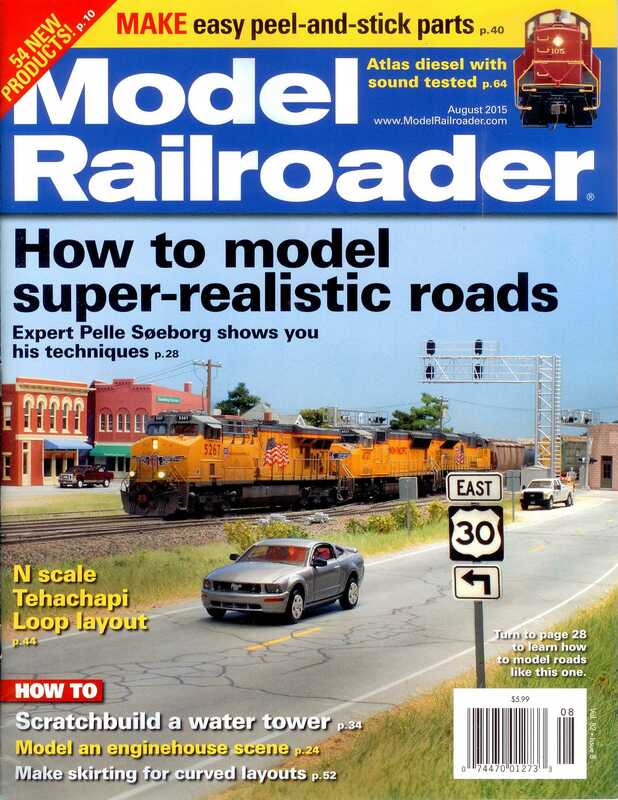 Nicht mehr vorrätige Magazine bestellen wir Ihnen auf Wunsch gerne nach. 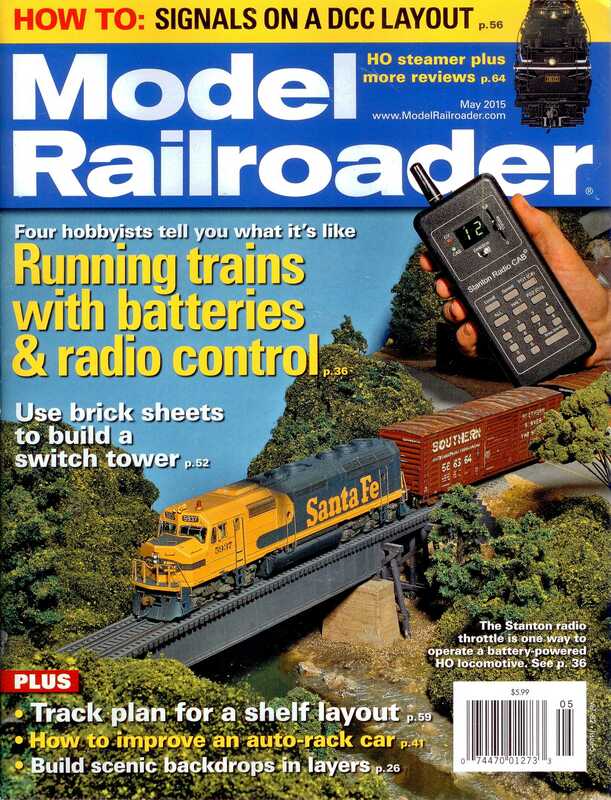 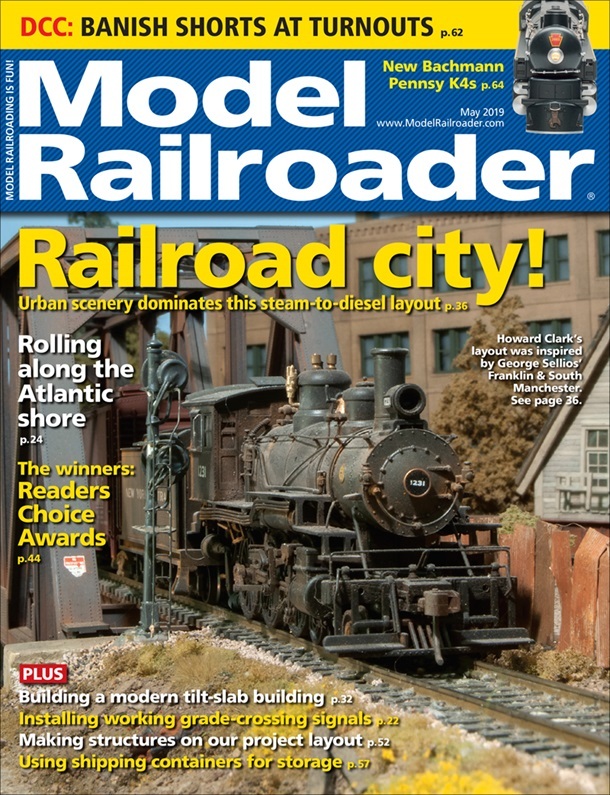 MRR 0519 'Model Railroader', 2019 Mai - Railroad city! 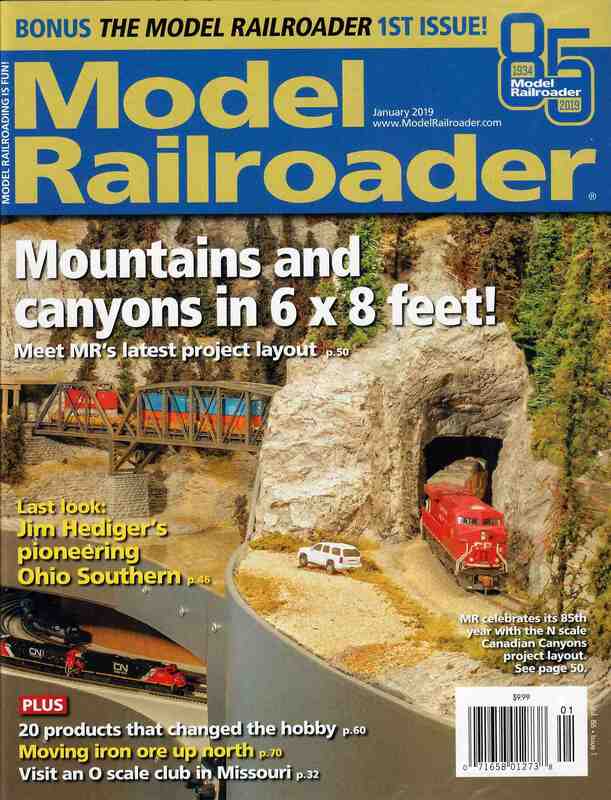 MRR 0119 'Model Railroader', 2019 Januar - Mountains and canyons in 6 x 8 feet! 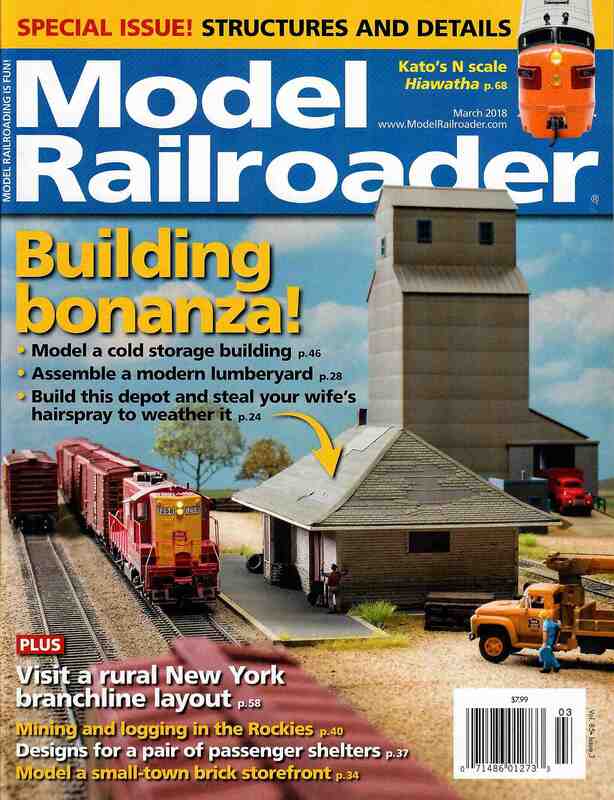 MRR 0318 'Model Railroader', 2018 März - Building bonanza! 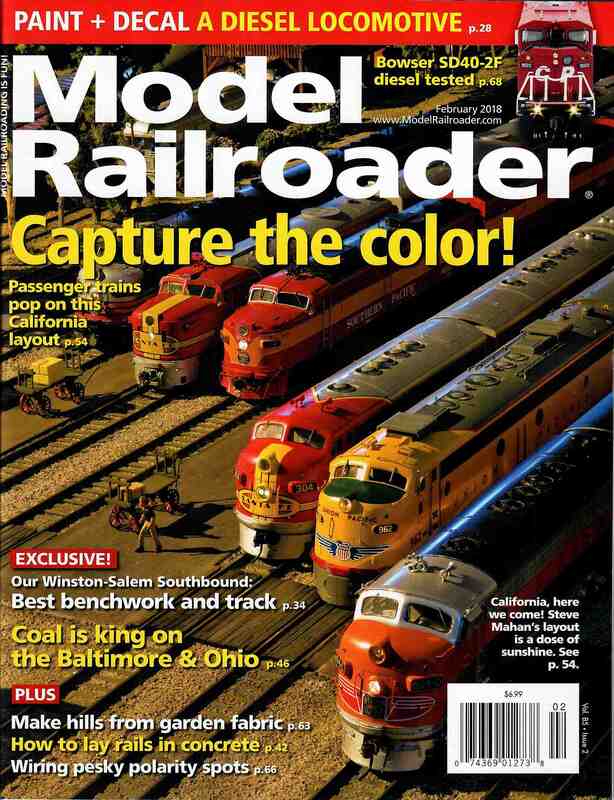 MRR 0218 'Model Railroader', 2018 Februar - Capture the color! 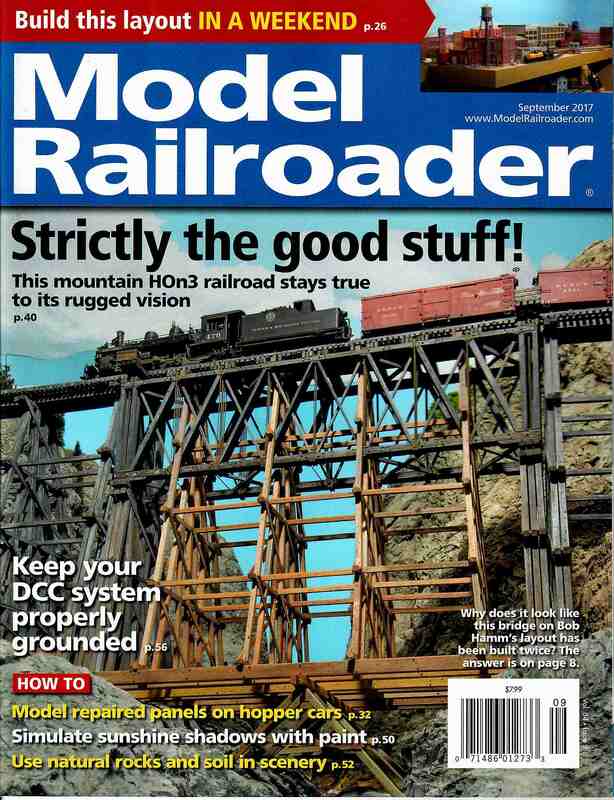 MRR 0917 'Model Railroader', 2017 September - Strictly the good stuff! 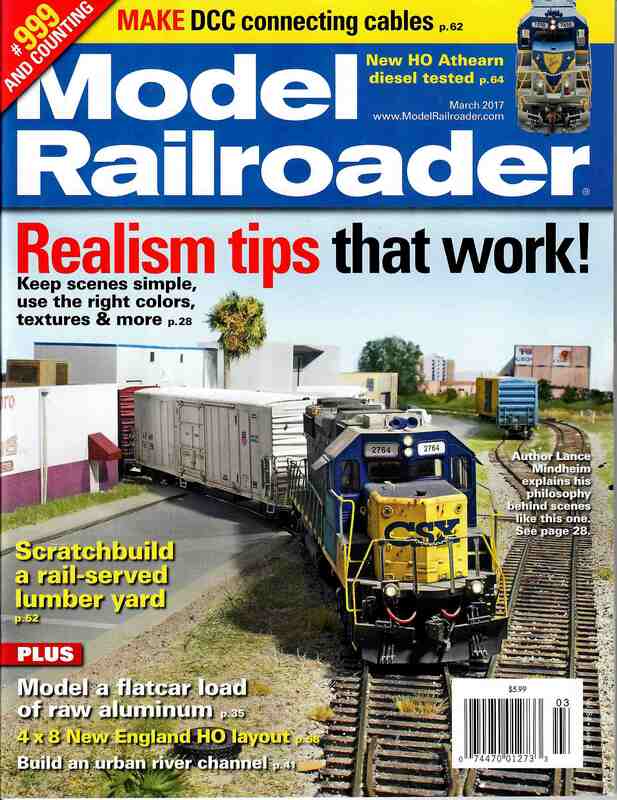 MRR 0317 'Model Railroader', 2017 März - Realism tips that work ! 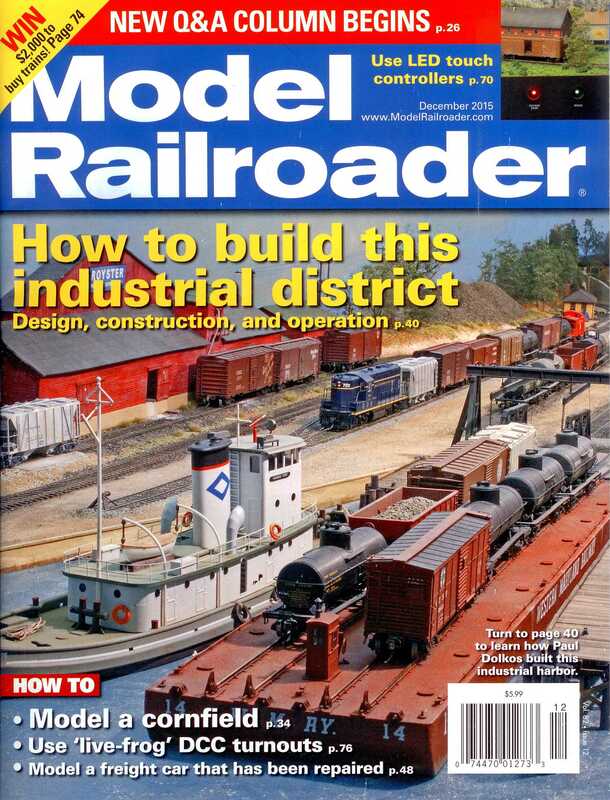 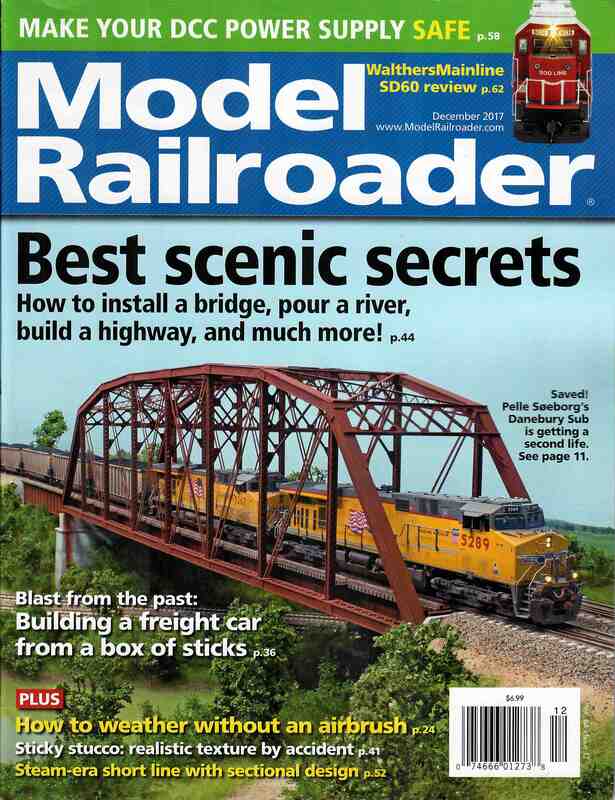 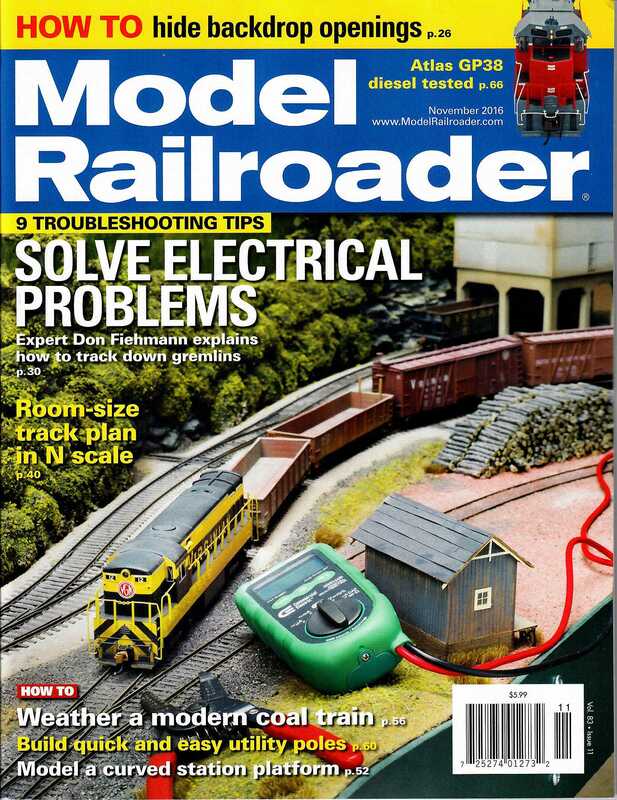 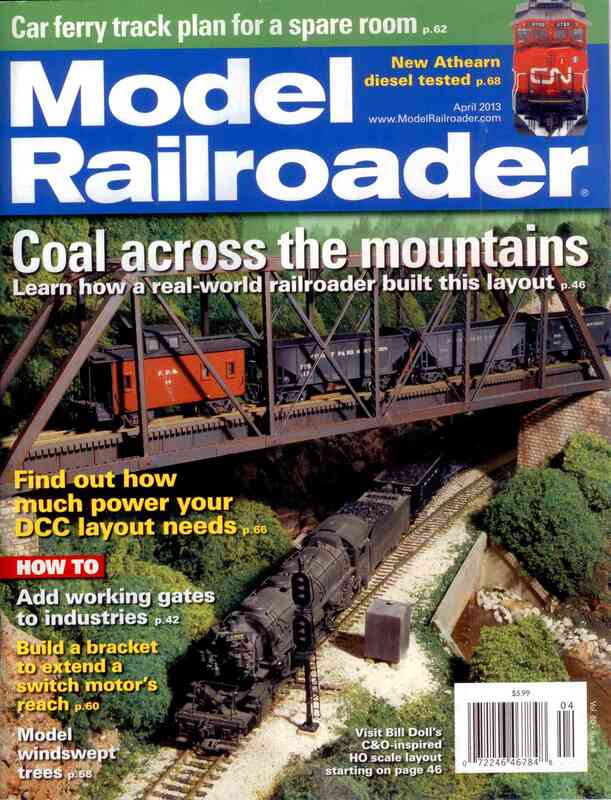 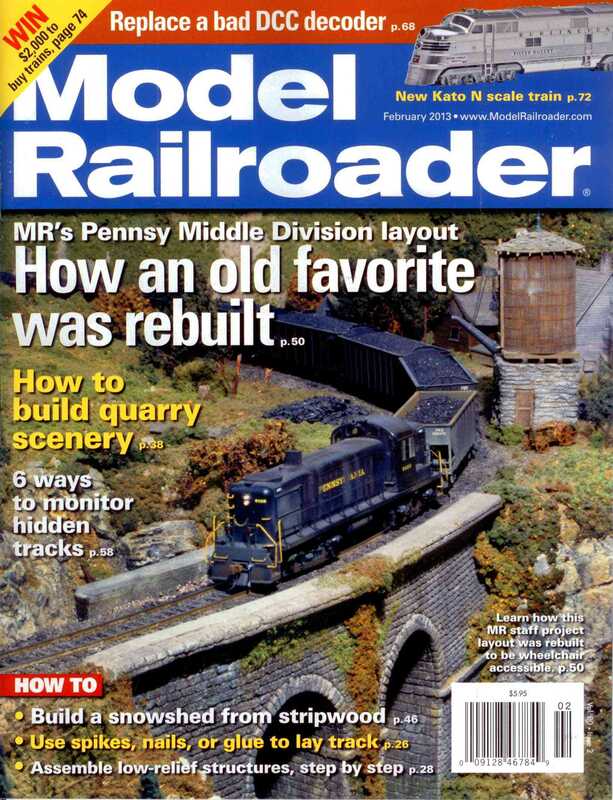 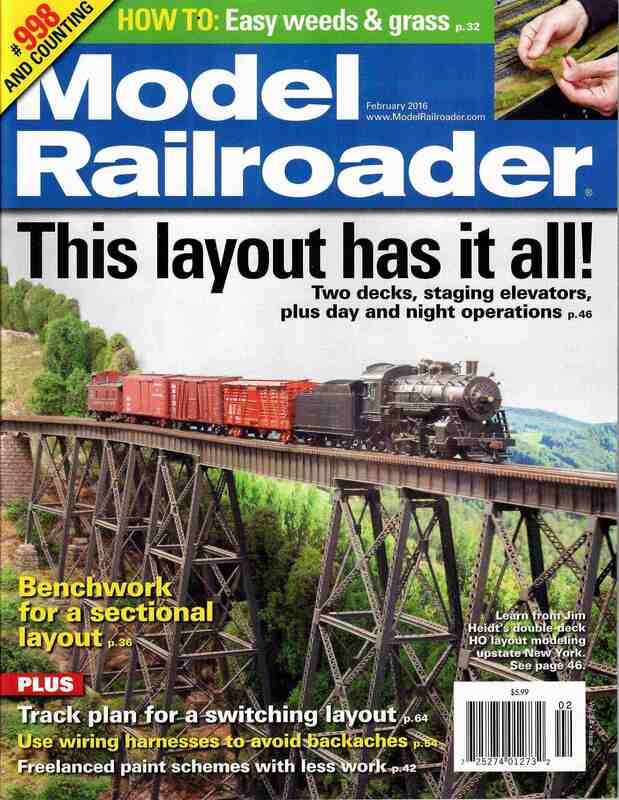 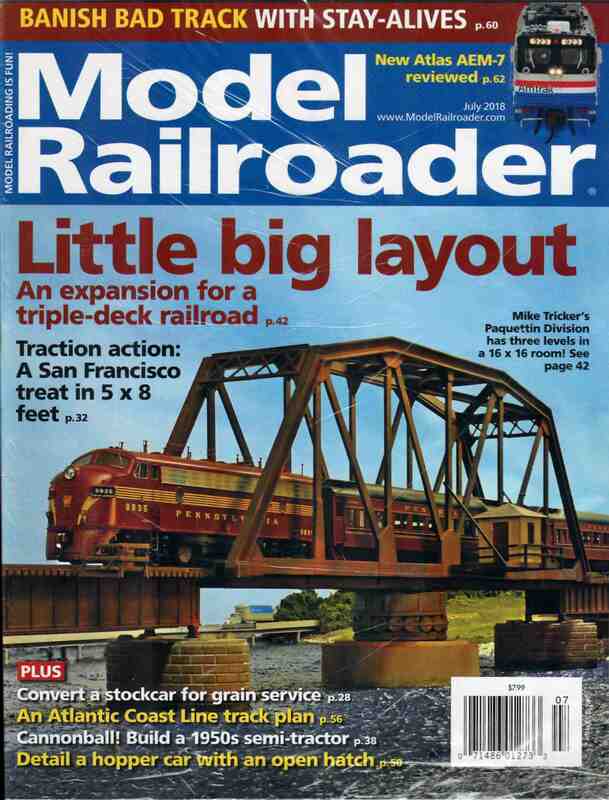 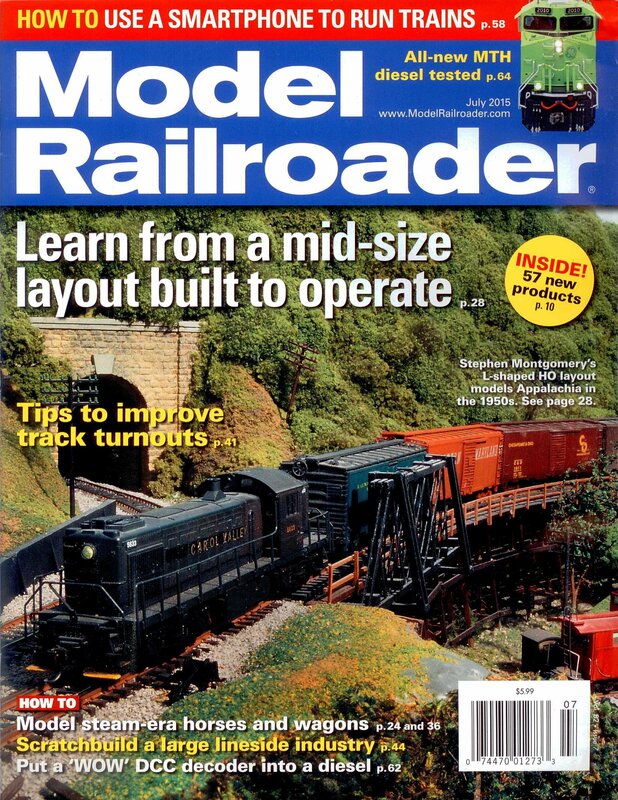 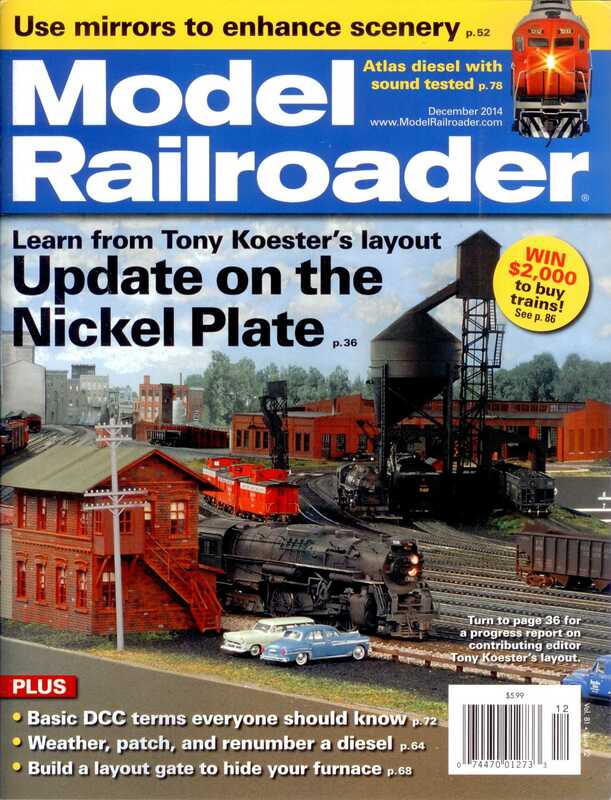 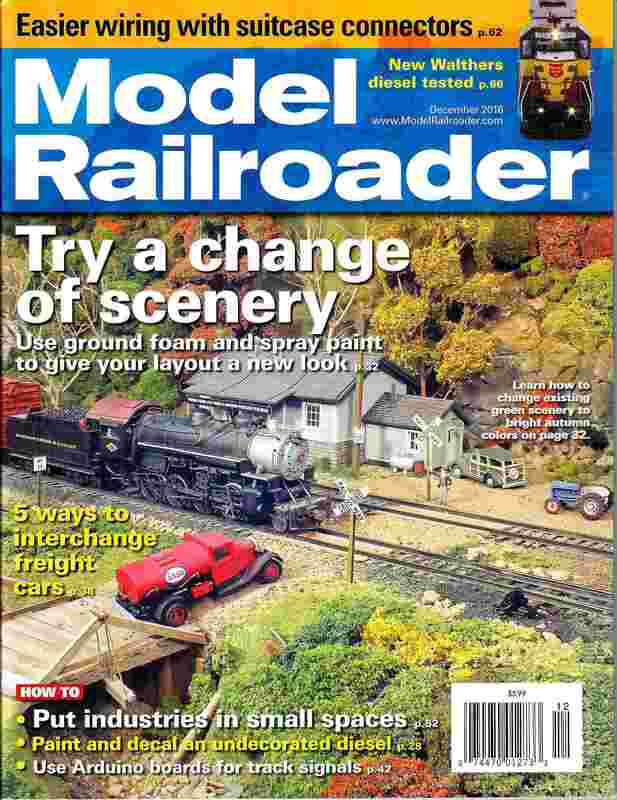 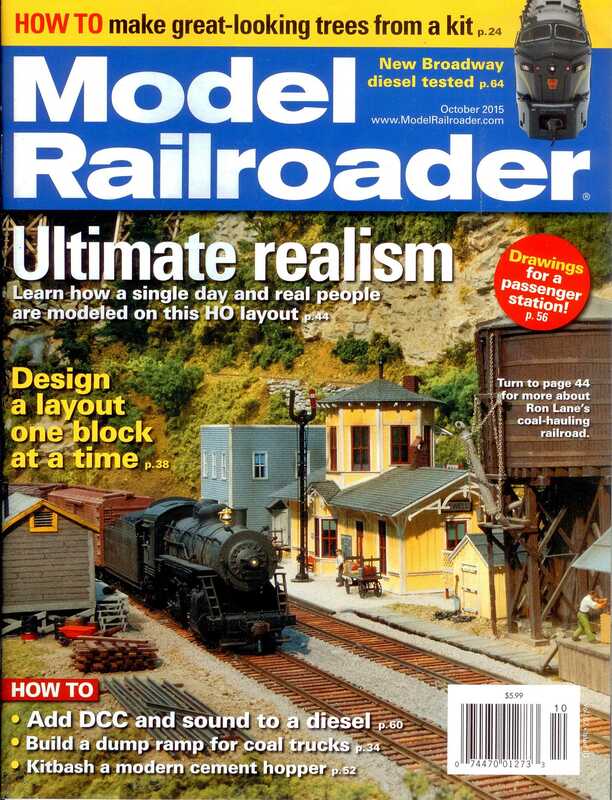 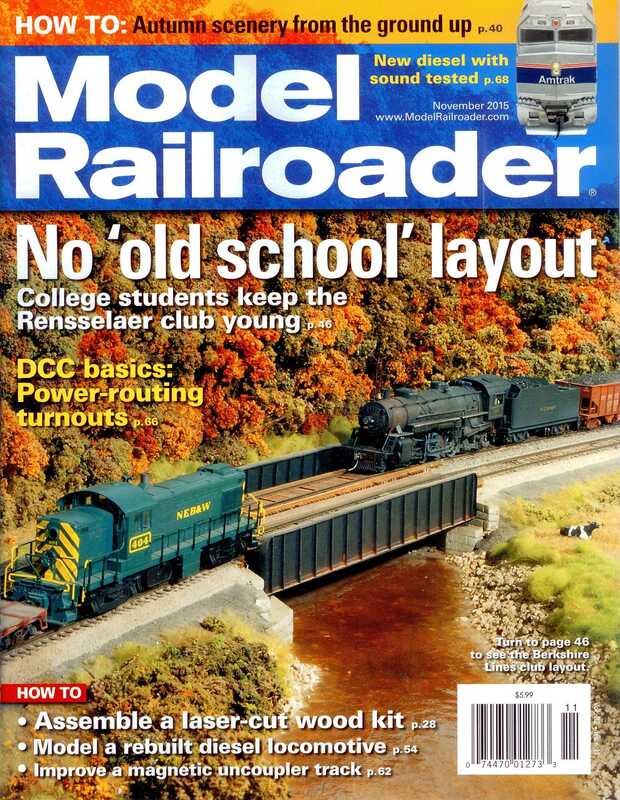 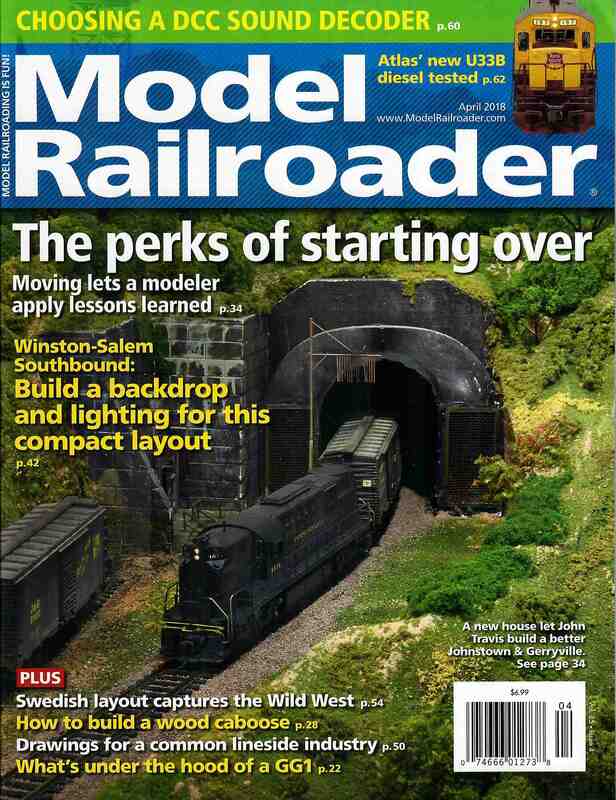 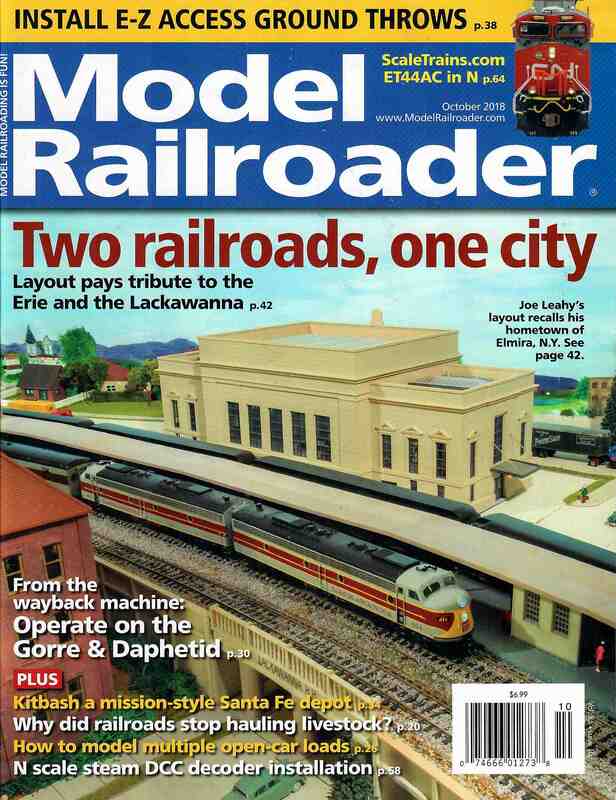 MRR 0217 'Model Railroader', 2017 Februar - This layout has it all ! 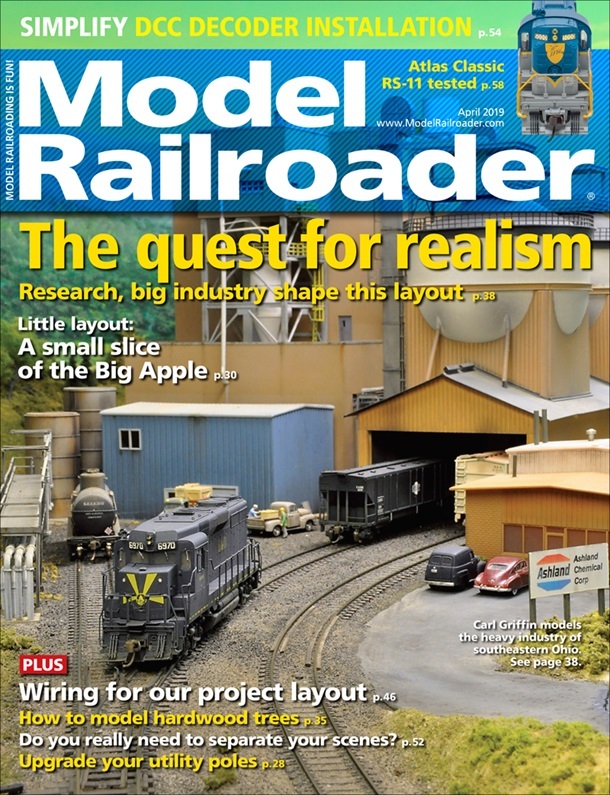 MRR 0616 'Model Railroader', 2016 Juni - Big on scenery! 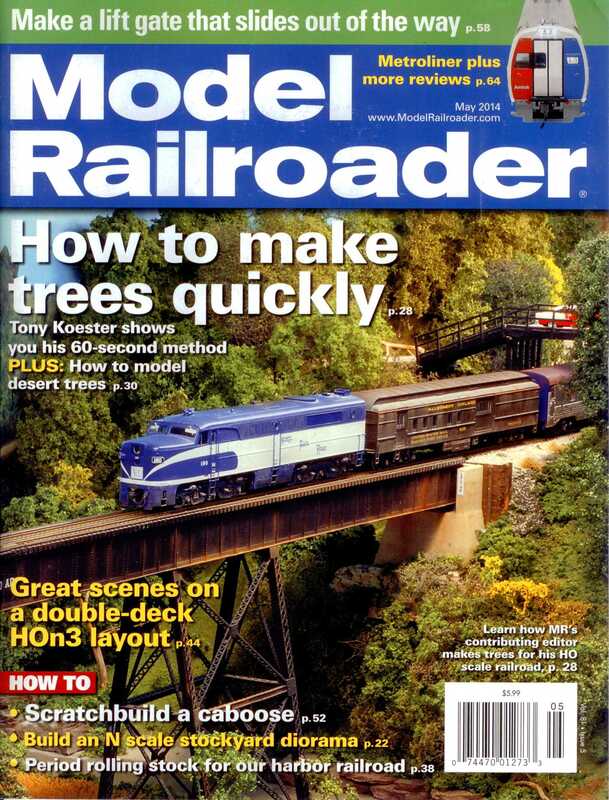 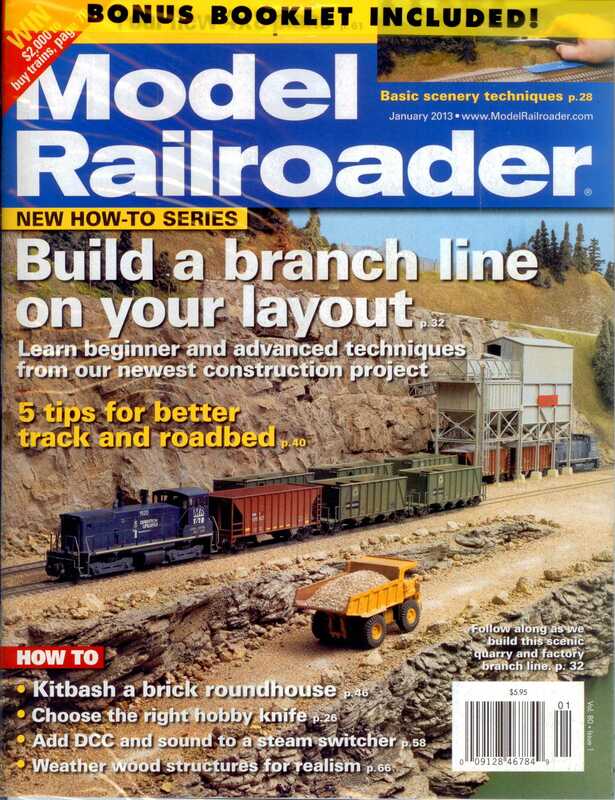 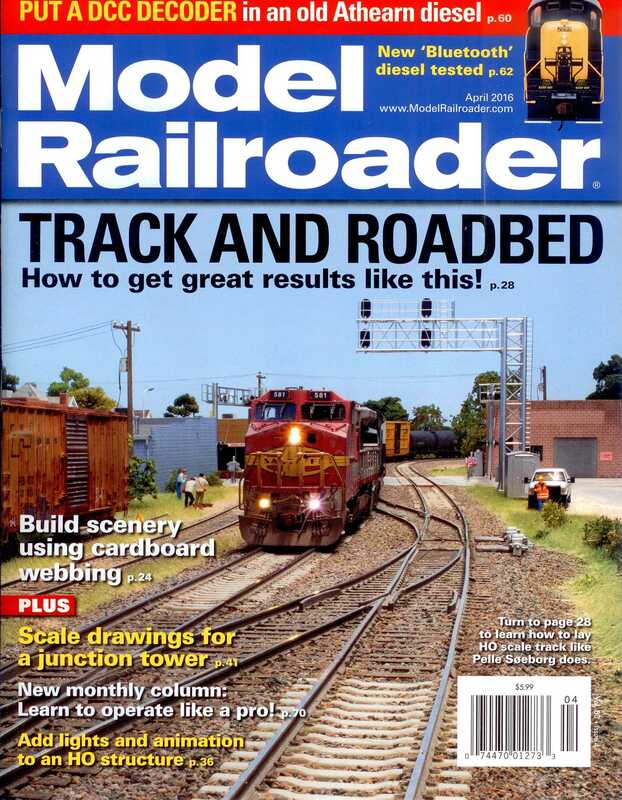 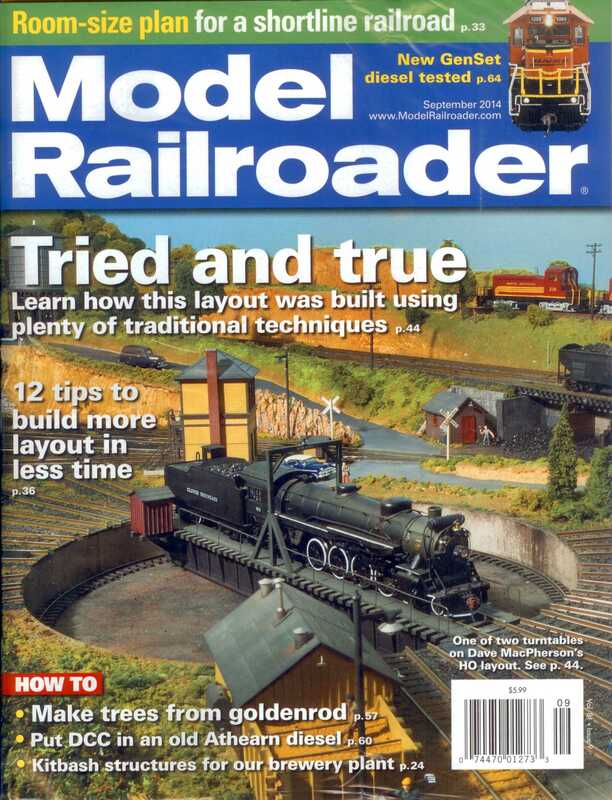 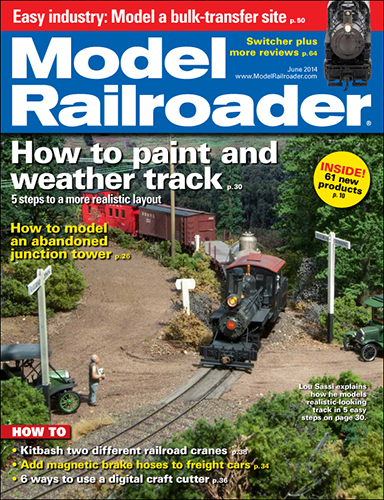 MRR 0715 'Model Railroader', 2015 Juli - Learn from a mid-size layout built to operate. 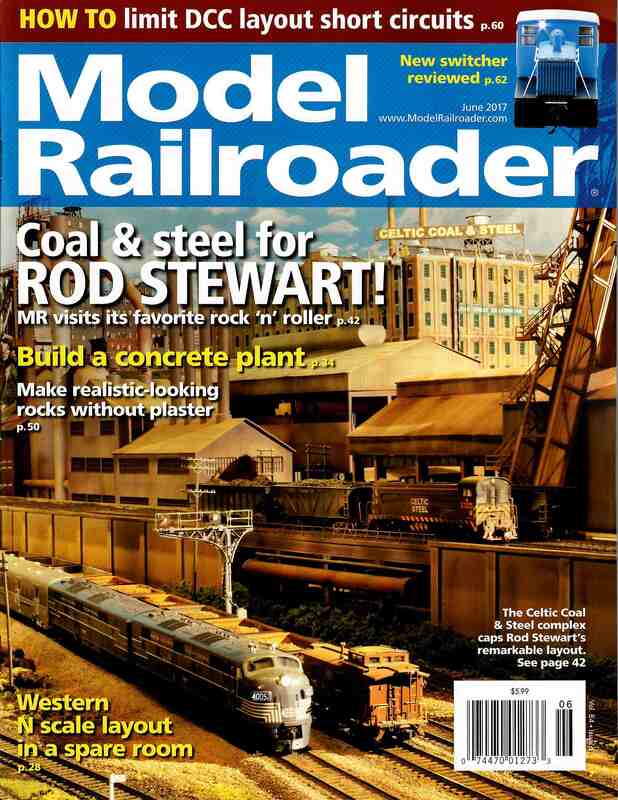 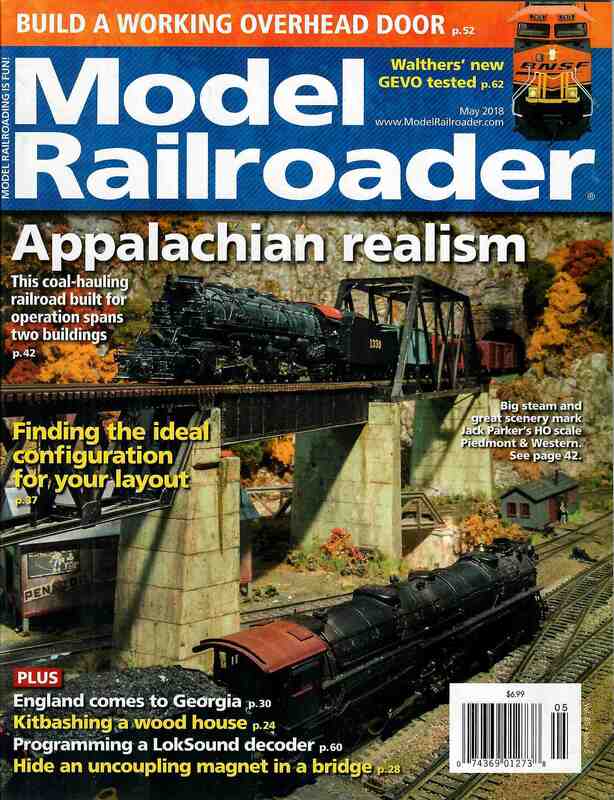 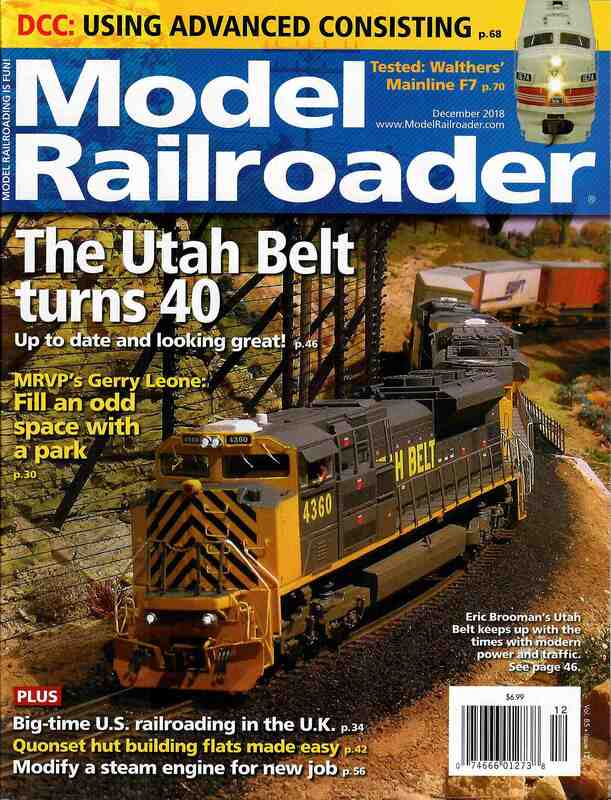 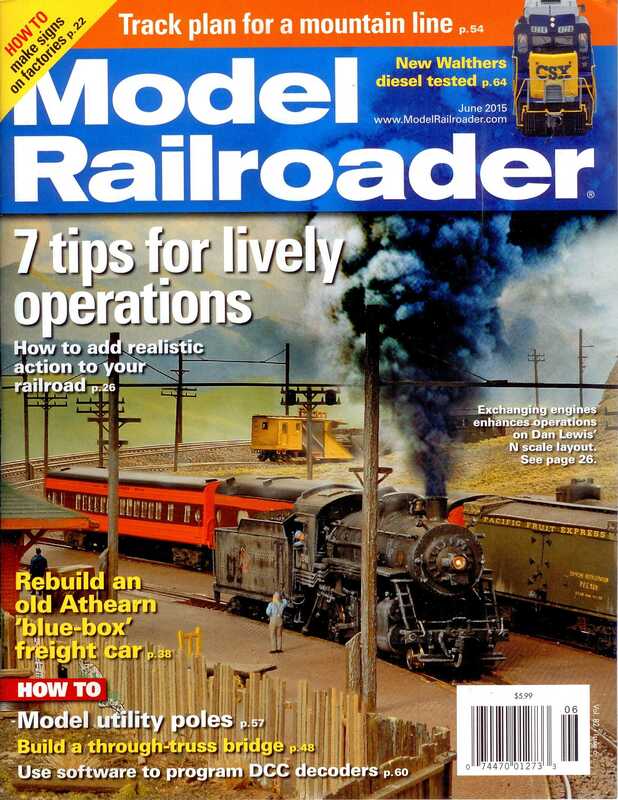 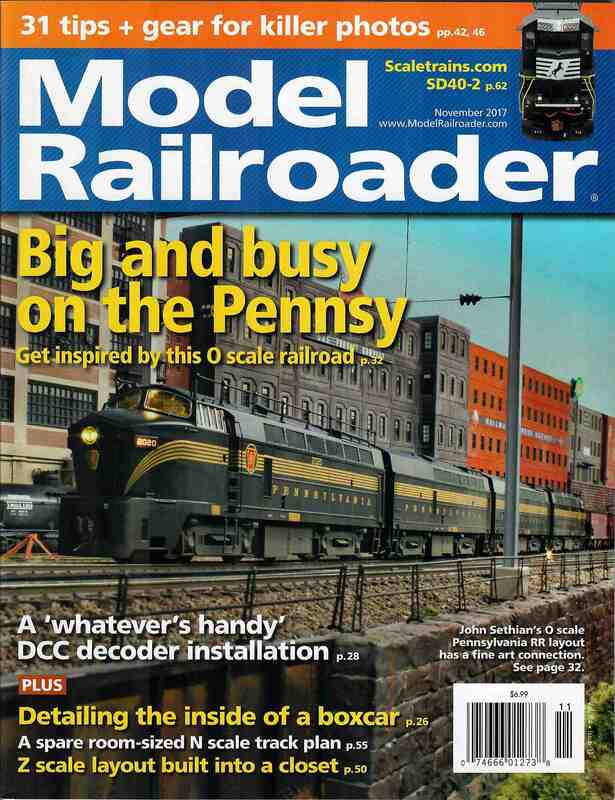 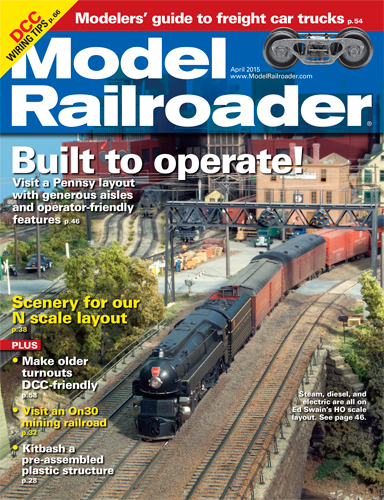 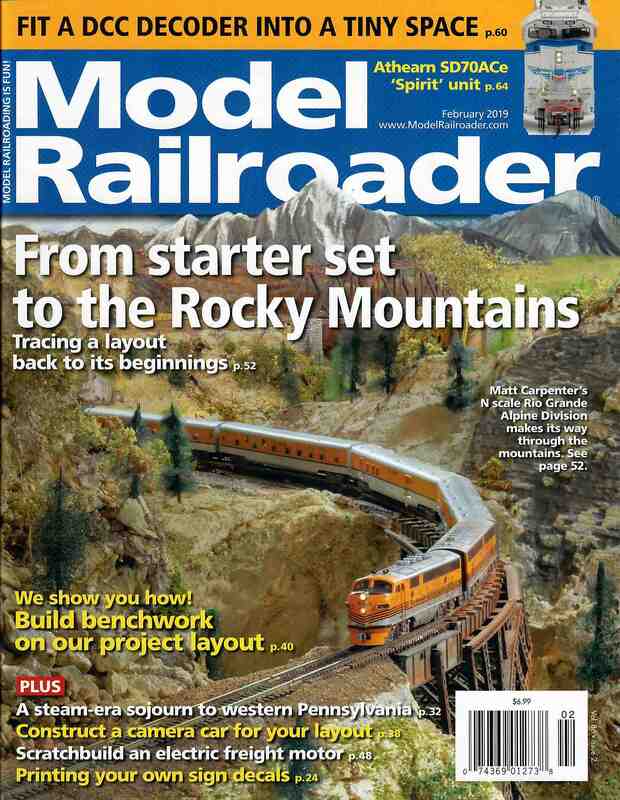 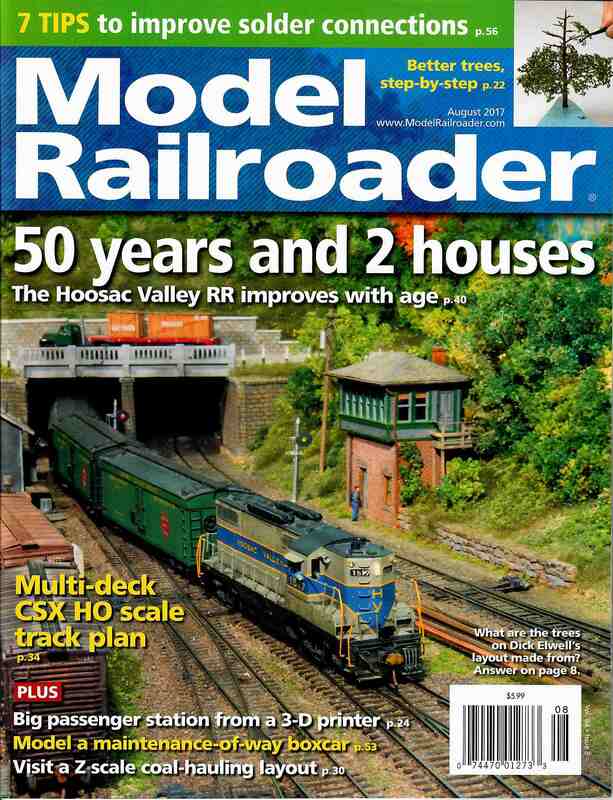 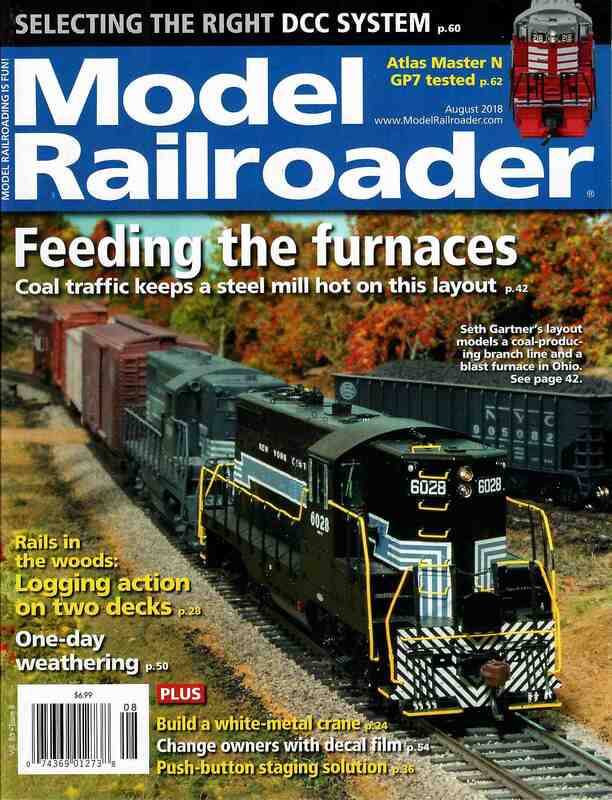 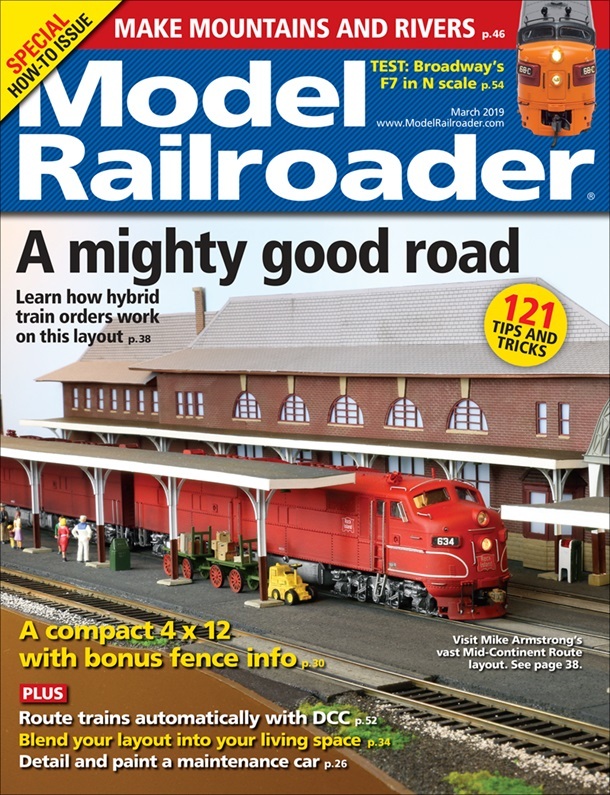 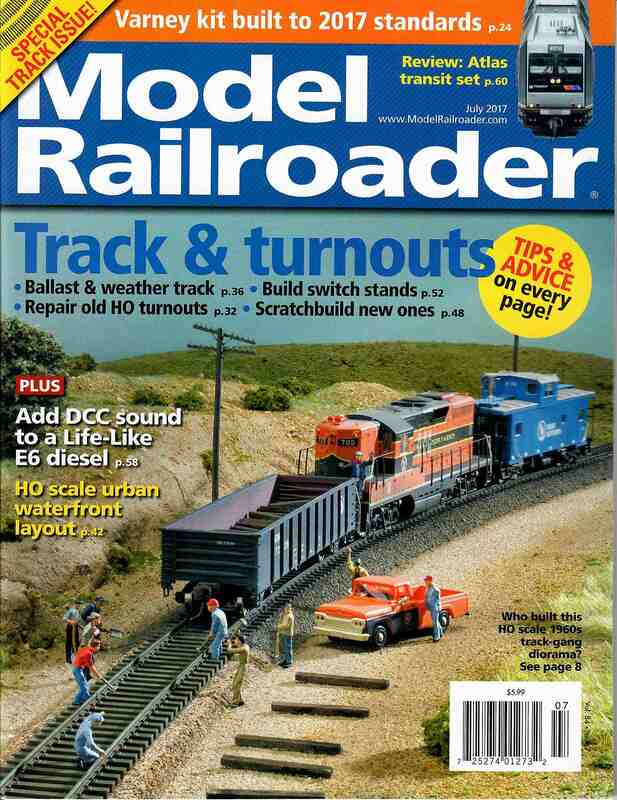 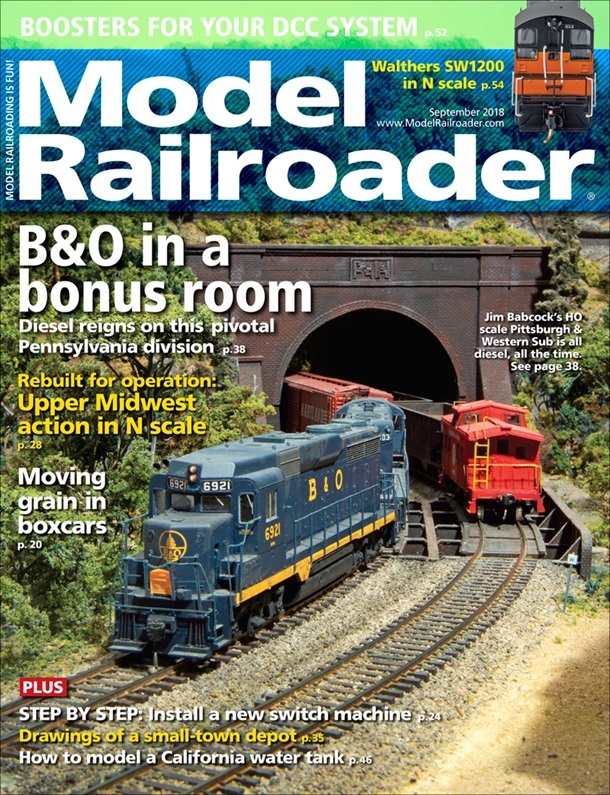 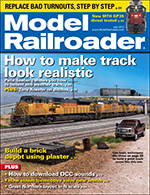 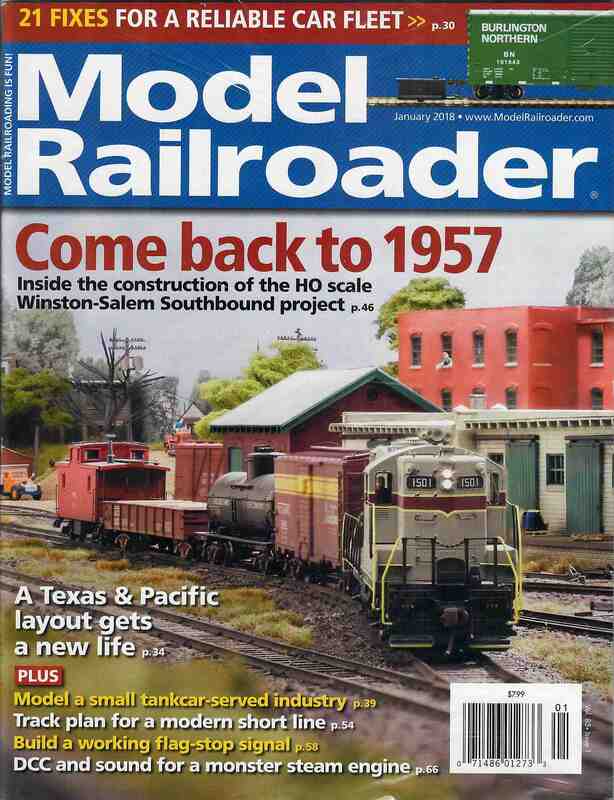 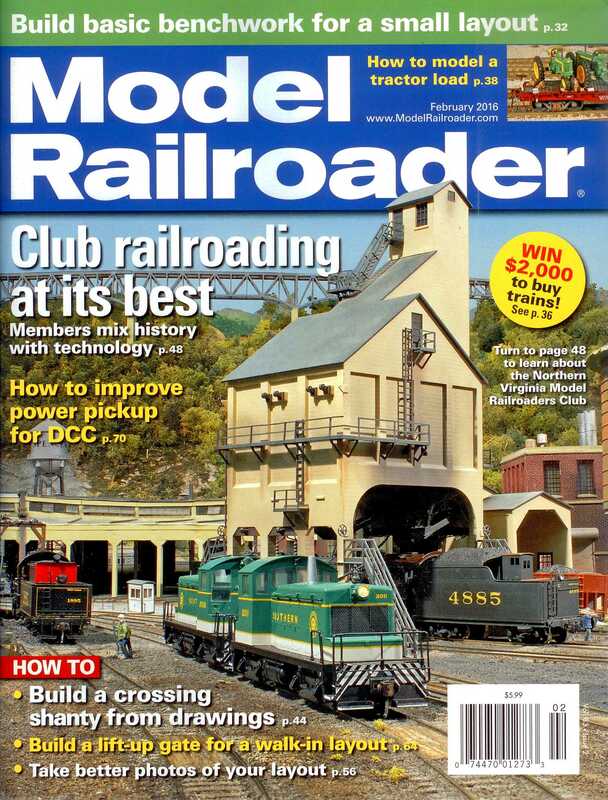 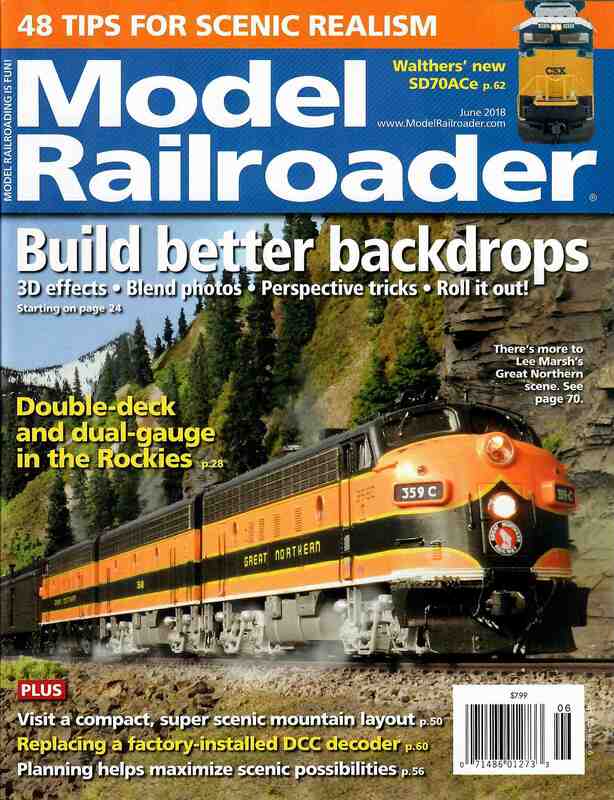 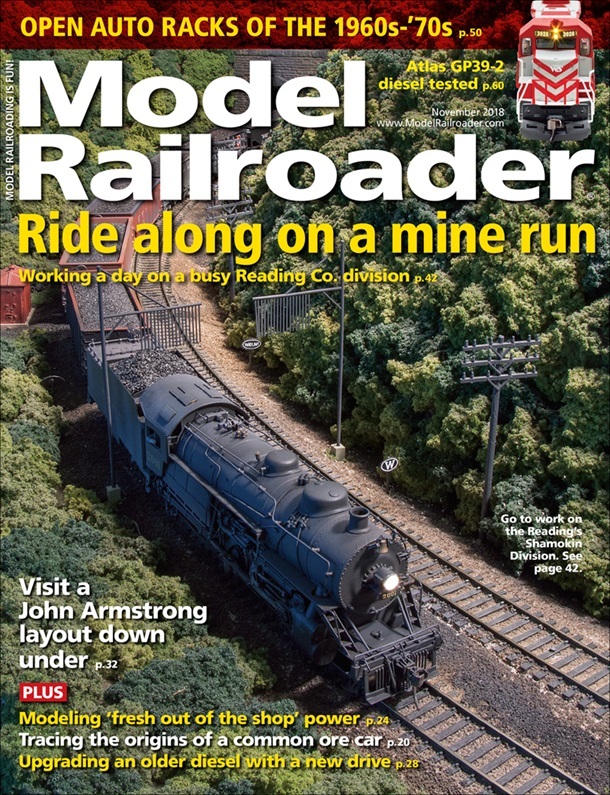 MRR 0415 'Model Railroader', 2015 April - Built to operate! 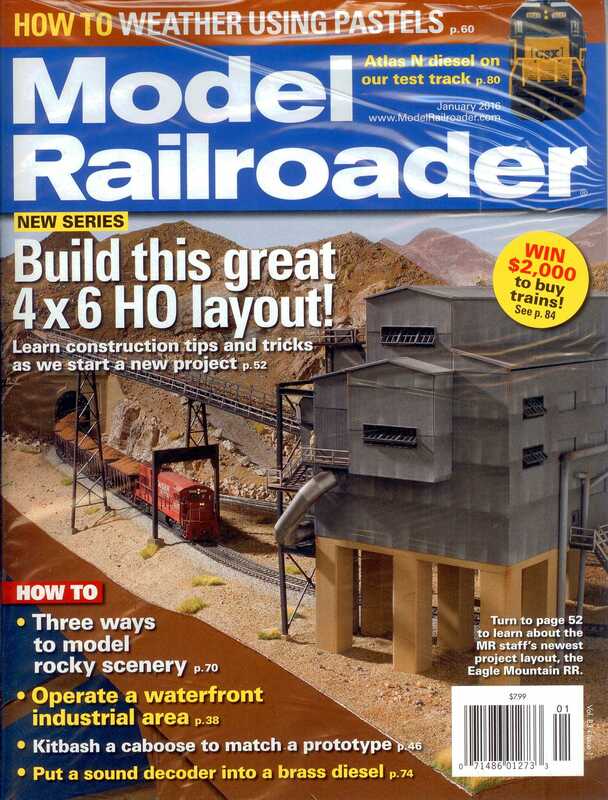 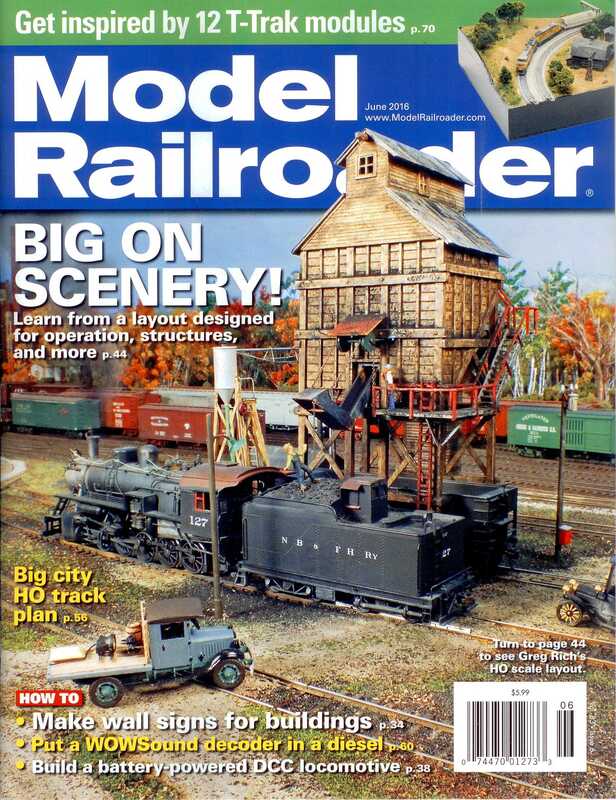 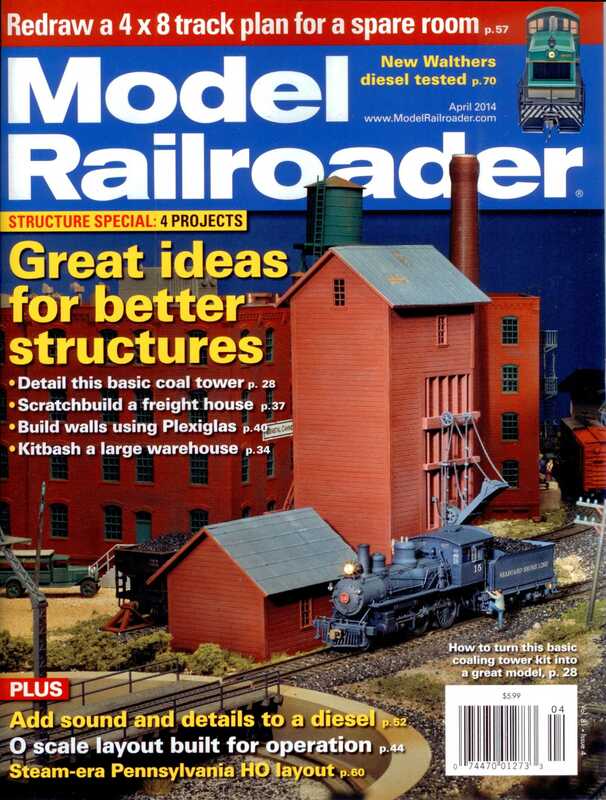 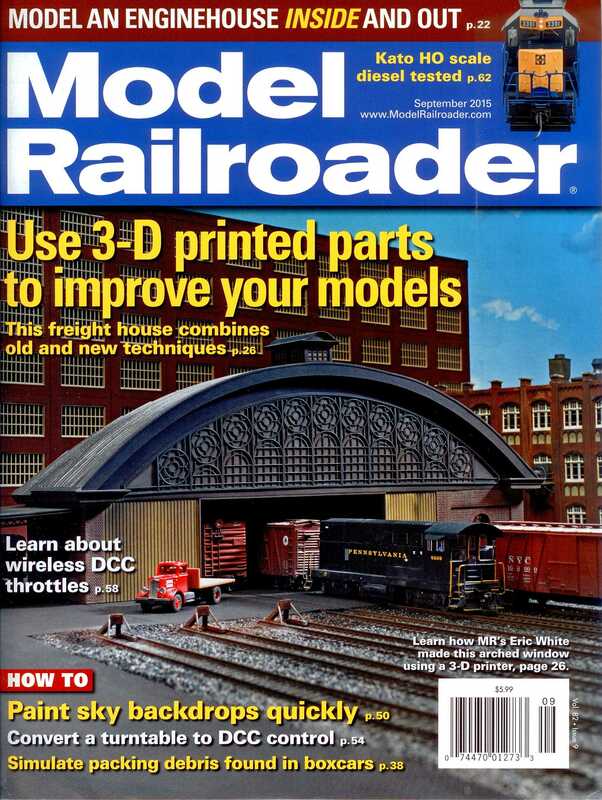 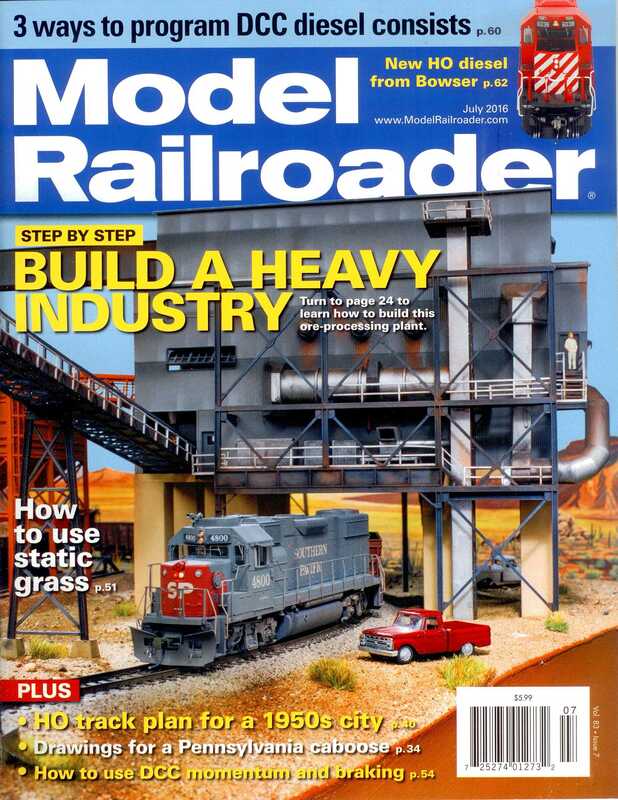 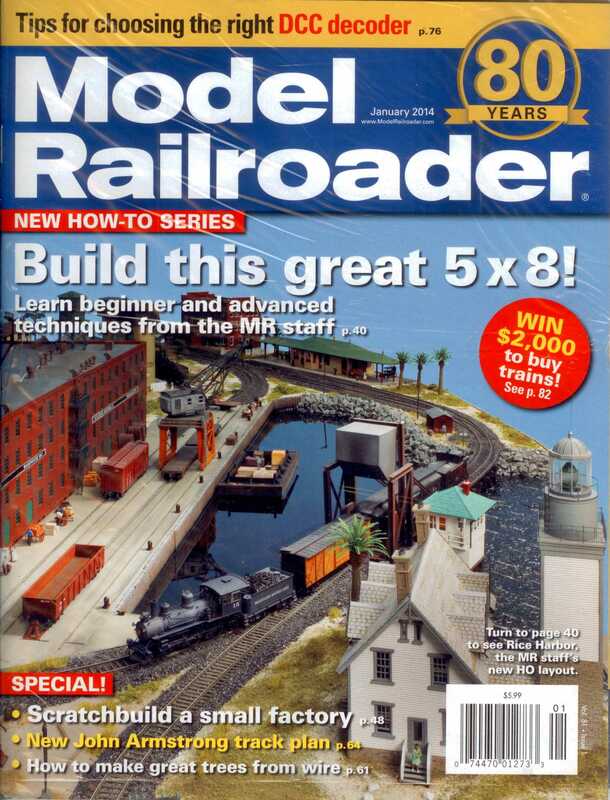 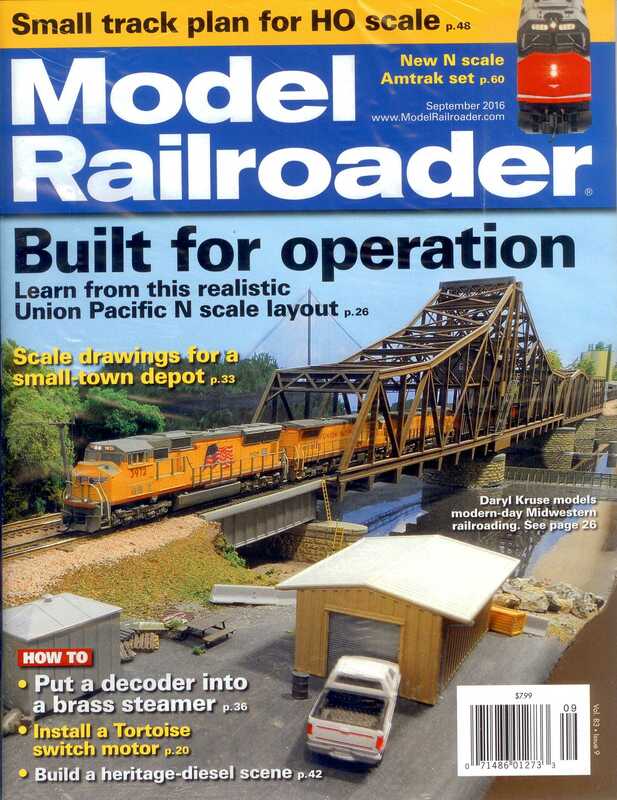 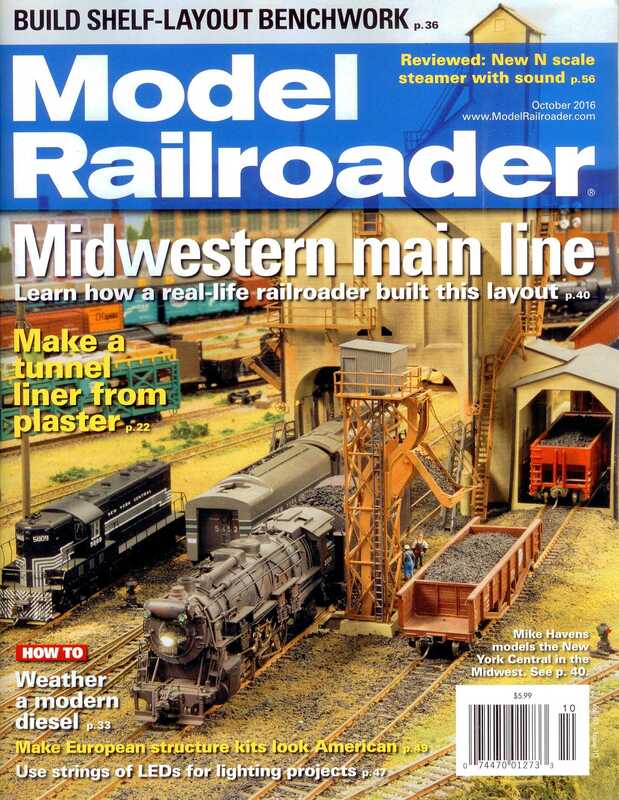 MRR 0114 'Model Railroader', 2014 Januar - Build this great 5 x 8!